Manchester City have called up teenage Nigerian striker Kelechi Iheanacho to their Champions League squad. 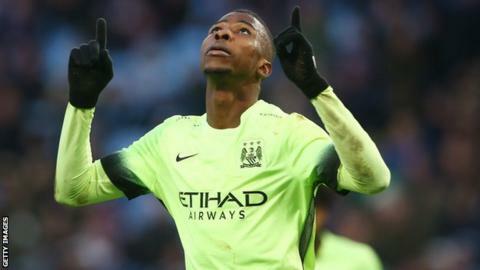 Manager Manuel Pellegrini said Iheanacho, who has scored eight times in 18 games this season, will replace the injured Samir Nasri in the squad. "It's important to bring young players into the first team but they must be good players so that we continue to be competitive," Pellegrini said. "Kelechi will be in the Champions League squad. I told Samir Nasri I would take him out of the list as he needs two months more to be fit. "We need Kelechi now as Wilfried Bony is injured too. We couldn't take the risk of going into the last 16 game with just Kun (Sergio Aguero)."